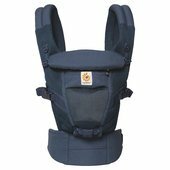 Ergobaby's lightweight & breathable Cool Air Mesh Adapt baby carrier has premium mesh that keeps you cool & comfortable and an innovative ergonomic seat that adjusts to your baby from newborn to toddler (7-45lbs), no extra infant insert needed. 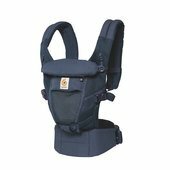 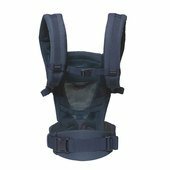 The carrier offers multiple ergonomic carrying positions (front-inward, hip and back carry), extra-padded crossable shoulder straps and lumbar support waistbelt, and easily adjusts to fit wide range of body types. At Ergobaby, we hold all our carriers to higher safety standards than required by our industry, and quality workmanship means our carriers can be used for multiple babies over multiple years.